Custom electric guitars fully handcrafted in my small shop within the woods of beautiful coastal Maine. 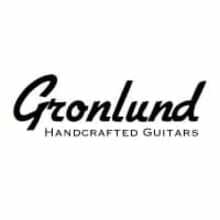 The very first models were built in 2010 and Gronlund Guitars was launched as a full time operation in late 2015. These guitars have been quickly getting out into the world to glowing reviews and I'm now building and selling about 25 per year.